This selection of Adept Tools for Sage 50 & 50cloud have been developed to resolve the most common requirements that are not available in the core accounting software when dealing with suppliers and purchasing. Have you ever wished that you could change a Sales Ledger account code or a Product code ? Well you can now with the Adept Sage 50 Product and Account Code Changer. Change Sales Ledger & Purchase Ledger account codes. Change multiple code prefixes in one operation. Optionally read a CSV file of multiple codes to be changed. Retains all your transaction and stock history. A Test Mode will show you what codes will be changed without actually changing them. Limited compatibility with Sage 50cloud’s Office 365 integration. All users must be logged out of Sage while using this Add-On Tool. Only £150.00 + VAT for a company wide licence plus Annual Renewal Fees. This program will import Transactions into the Sage 50 Audit Trail from a CSV file. Unlike the standard Sage 50 importer you can import Donations, set Gift Aid and Small Donation flags so this is a great Add-On for Charity’s! Correctly creates a single header with multiple splits for invoices and other grouped transactions. Will import SR & PP transactions with automatic allocation by invoice number or a reference held in any of the invoice’s reference or detail fields. Import a Bank Transfer, eBanking payment types and an Invoice and Payment together. Import Charity Donations, Automatically set Gift Aid and Small Donation flags on Donations. Optionally create a new Customer or Supplier record if the Account Reference is not found. Optionally monitor a specified folder for new CSV files and import them automatically. In a multi company Sage environment the company that each transaction should be loaded into can be specified in the CSV file. You do not have to log other users out of Sage while using this Add-On Tool. This program will give your staff high speed access to historical Sales and Purchase order details. Top of the Adept Viewer range, the Google search for Sage 50!. View Sales Order and Invoice history for a Customer. 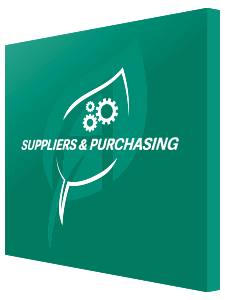 View Purchase Order history for a Supplier. View Sales and Purchase Order history for a Product. Ideal for dealing with customers who ring up and ask for “five of those thingumies you sold me three months ago”. All the features of the Adept Company Viewer Lite. All the features of the Adept Product Viewer Mid. Only £300.00 + VAT for a company wide licence plus Annual Renewal Fees. This program will import Purchase Orders into the Sage 50 Purchase Order Module from a CSV file. Can be used to import data into any field in the Sage 50 Purchase Order file that is exposed by the Sage SDO. The column headings in the first line of the CSV file are used to define the fields that the data should be imported into. Will import Excel style multi line data into the Service Text field. Create new template CSV files by selecting fields from a list of available field names. Export option will load your CSV template with data from your current purchase order files. In a multi company Sage environment the company that each invoice should be loaded into can be specified in the CSV file. This program will import Products and BOM Components into the Sage 50 Product File from a CSV file. Can be used to import data into any field in the Sage 50 Product file that is exposed by the Sage SDO. Will import Excel style multi line data into the Product Memo and Web Long Description fields. Unlike the standard Sage 50 CSV Product import you can import data into virtually every field in the Product file including Web Descriptions, Discount Tables, Product Memo and the BOM. Export option will load your CSV template with data from your current product & BOM files. A special CLEAR option will allow entire Discount or BOM tables to be cleared with only one column in the CSV file. This program will create matching Purchase Orders from Sales Orders or Invoices. It is designed for companies whose suppliers deliver direct to the customer. Lists customer’s orders in the Sage 50 SOP or Invoicing module that have not been processed yet. The user can easily select an order to be processed with just a couple of clicks. The program will create all the purchase orders necessary to satisfy the customer’s order. The customer’s delivery address is automatically entered as the delivery address on the purchase orders. After the purchase orders have been created the invoice or sales order is automatically marked as processed. The user can select whether to see all unprocessed orders or just recent ones. The program can be run from a button on the Sage 50 SOP or Invoicing module. This program will assist with managing BOMs (Bills Of Materials) in Sage 50, including a function that will disassemble a BOM assembly back to it’s original components. A high speed search facility will locate Assemblies by product code, barcode or text within the product description. View a list of all Assemblies with cost price, sales price and quantity in stock plus a multi level BOM explosion in tree format. View all the components of a multi level BOM as a list with total quantities and cost prices. Shows calculated total cost price with an option to save this as the new assembly cost price. Assemble function will transfer stock for a multi level BOM with a single click. Disassemble function will disassemble assemblies back to the original components. What BOM shows which assemblies a component belongs to & BOM Fix will rebuild Product Assembly Level & Link Level fields. This program will manage customer’s and supplier’s own part numbers and descriptions. Own part numbers can be held for customers, suppliers or both. Own part numbers may be entered manually or imported from a CSV file. Optionally hold own descriptions as well as or instead of own part numbers. High speed searching on words within product descriptions and customer/supplier names. An update option will load own part numbers and descriptions into orders. The quick update option will only process new orders or invoices. An export option will export own part numbers and descriptions to a CSV file. This program will import Suppliers into the Sage 50 Supplier File from a CSV file. Unlike the standard Sage 50 CSV Supplier import you can import data into virtually every field in the Supplier file including the Supplier Memo. Can be used to import data into any field in the Sage 50 Suppliers file that is exposed by the Sage SDO. Will import Excel style multi line data into the Supplier Memo field. Optionally move the CSV file to an Archive folder after it has been successfully imported. Export option will load your CSV template with data from your current supplier files. This program will import amendments to existing Purchase Order headers from a CSV file. Can be used to import data into any field in the Sage 50 Purchase Order Header file that is exposed by the Sage SDO. The CSV layout is easily configured to suit your requirements by using the Sage 50 field names as column headings. This program will find duplicate Purchase Invoices in the ledger. Searches for PI transactions with Matching Supplier A/C Ref and Invoice Ref. Optionally match Date and Amount as well. Data caching speeds the loading of historic transactions. Right click an invoice to mark it as a duplicate in the Details field. The program can be run from a button in the Sage 50 Supplier module. Licensed for use on as many of your company’s computers as you like. This program will import Customer Special Prices, Customer Price List Prices and Supplier Price List Prices into the Sage 50 Price File from a CSV file. Can be used to import data into any field in the Sage 50 Price file that is exposed by the Sage SDO. A simple five column CSV file handles most situations. The CSV file contents are displayed, along with any error messages, before the import takes place. Export option will load your CSV template with data from your current price files. The program can be run from a button in the Sage 50 Product Module (dependant on Sage version). This program will allow you to enter Inwards Stock Adjustments in a fast and convenient manner. A high speed search facility will locate products by code or text within the product description. Enter quantity and total cost price. The unit cost price will be calculated. Optionally enter a new unit sales price for the product. Hit Load and the program will create the AI transaction in the Sage 50 product history. A list shows the adjustments that you have already entered in the current session. This program will change the Nominal Code on a batch of Transactions. Select a range of Transaction Types or All Types, Numbers or All Numbers. Optionally select a Department Number and/or an Account Ref and select a Nominal Code to be changed. Enter the Nominal Code to be applied to all selected transactions. Test mode will show you the changes that will be made without actually doing them, the Trial version is limited to Test mode only. Currently this program can’t be used on Bank Accounts or Major Control Accounts. This program relies on using the Sage Recovery Tools to rebuild the Nominal Buckets. This program is only suitable for use by advanced Sage users. All users must be out of Sage while using this Add-On Tool. This program will change the Department Number on a batch of Transactions. Select a range of Transaction Types or All Types. Select a range of Transaction Numbers or All Numbers. Optional selection criteria includes Account Code, Header Reference, Nominal Code and Department Number. Enter the Department Number to be applied to all selected transactions. A Test mode will show you the changes that will be made without actually doing them. The Trial version is limited to Test mode only. This program is a networkable pop up address book based on the data from your Sage 50 Sales & Purchase Ledger account records. Lives in your system tray for one click access. High speed search facility. Most records can be located by entering only three characters from the name. Searches for Account Codes, Company Names and Contact Surnames across both ledgers in one operation. Displays Company Name, Address, Contacts, Phone Numbers, Fax and Internet information for each company. Users can add notes to the Customer and Supplier Memos and Data can be Copied and Pasted into other applications. Can read Sage 50 data from a remote machine across your network. Users do not need a copy of Sage 50 on their computer. Only £100.00 + VAT for a company wide licence plus Annual Renewal Fees. This program adds Product file searches to the functionality provided by the Adept Company Viewer Lite. Middle of the Adept Viewer range. Search for Products by Product Code, Supplier’s Product Code or words contained in the Product Description. Displays Product information including Stock Level and Prices. Shows Price List price for the last selected Customer or Supplier. Users can add notes to the Product Memo. This program will Automatically allocate payments on account and credit notes to invoices. Can be used on both the sales ledger and the purchase ledger. Option to match all accounts or one specific account. Option to ignore transactions that are not in a specified date range. Options to ignore accounts that have unmatched SC, SD, SP, PC, PD or PR transactions. Option to only process accounts that have a zero balance. Option to only process accounts that are paid by direct debit. Option to allow or disallow partial allocations and ignore disputed transactions. Are you a Sage 50 Business Partner, Accountants Club member or other Sage Professional? If so, we have an attractive reseller scheme for companies who would like to resell our range of Add-Ons for Sage 50 & 50cloud. Email info@adepttools.co.uk for further details.